Croc's 19th Street Bistro in VA Beach is a great restaurant for people who are passionate about fresh, local foods. They have been locally owned and operated since 1993. 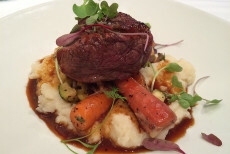 Croc's 19th Street Bistro isn't your average restaurant. When you're looking for a great place to eat, Captain Groovy's is a great place to try. Known as one of the best little raw bars in town, Seaside Raw Bar has been open for 25 years. This popular hangout offers a casual, laid back atmosphere with live entertainment on various nights. 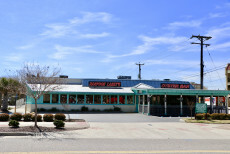 Dockside Seafood Marina VA Beach is a truly family friend restaurant on the water. Many others near the boardwalk are more "bar" than restaurant and aren't as kid friendly. When looking for killer seafood at the oceanfront check out Harpoon Larry's. 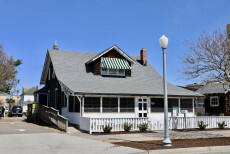 In the late 1970s, Bill McCormic and Doug Schmicks started their steak and seafood restaurant. 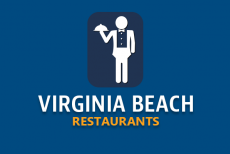 Now, the amazing restaurant chain is available in over 80 locations, including our beloved Virginia Beach. One Fish Two Fish is a seafood restaurant in Virginia Beach that is known for the seasonally inspired meals, local and organic ingredients, and their award-winning wine offering. 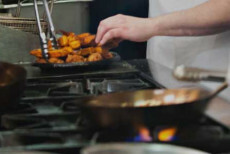 Zoe's Steak and Seafood in Virginia Beach offers something many other oceanfront restaurants do not; an executive chef who teaches culinary education at two Universities. What does that mean for you?